The new tuning company is currently undertaking a bold project for the sought-after Aventador. German Special Customs, better known as GSC, is one of the freshest faces on the tuning scene. 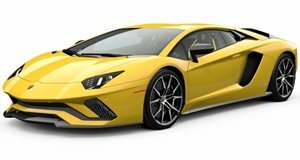 So choosing a Lamborghini Aventador for their latest project was a smart way of getting their name into the consciousness of those that like to pimp their supercars. In fact GSC actually has two programs for the Lamborghini although the Aventador Estatura GXX is still in the pipeline. Some details have been released about the new aerodynamic body kit that&apos;s built from carbon titanium. It features a new front and rear bumper, side skirts, an adjustable racing wing, a new hood, titanium black exhaust and a new set of ultralight alloys. No mention of any modifications to the 6.5-liter V12, but a boost in power to the stock&apos;s 700hp and 509lb-ft of torque is expected. Once the entire program is complete, and if there&apos;s any more details to share, we&apos;ll return with an update.